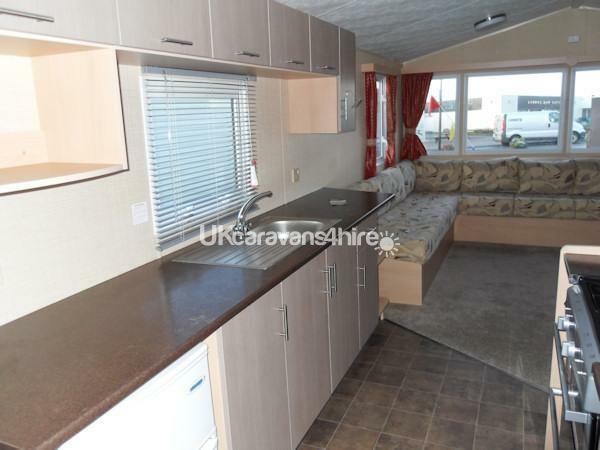 Additional Info: Pull-Out Bed, 2 Toilets, new veranda around the caravan, Laminate Flooring. £50 deposit is payable to secure your dates. 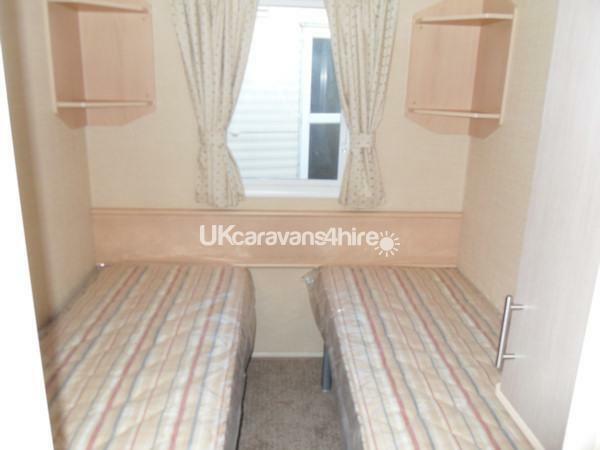 This will be refunded within 14 days of your departure after the caravan has been inspected. Full amount due 4 weeks before date of arrival. 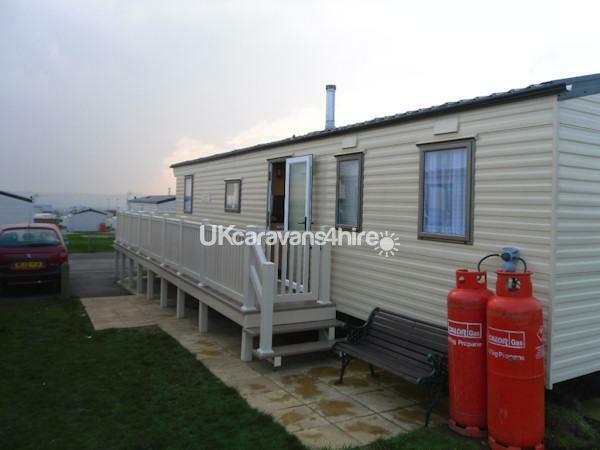 Willerby Salsa Eco, 3 bedroom (8 berth) caravan for hire at Blue Dolphin. 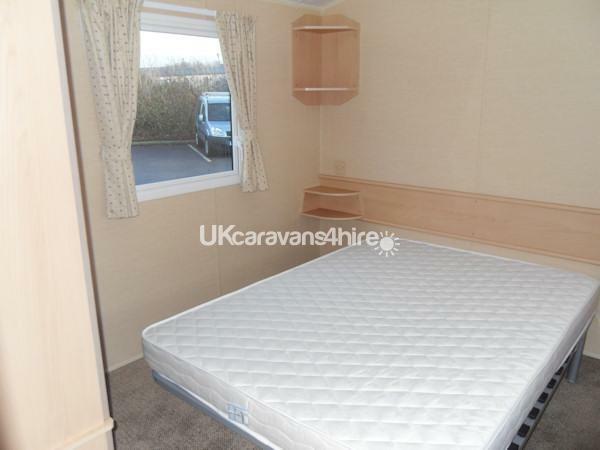 The caravan is classed as Delux plus by Haven so is top of the range. Due to it being the special ECO version is has the best wall insulation they install so ideal for those cosy nights. 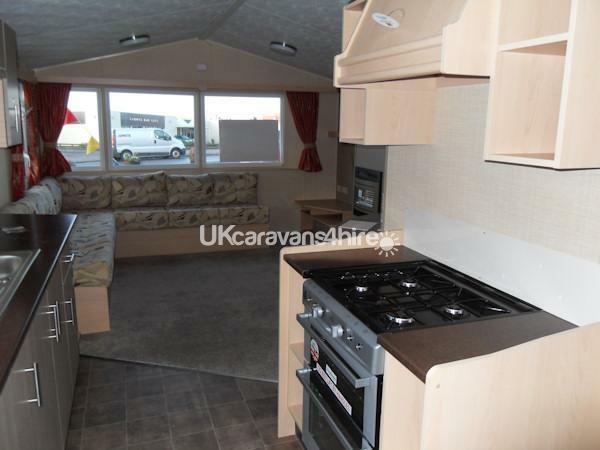 Double glazed windows, fan wall heaters, Lounge with 32" flat screen free-view TV, Sky+, DVD player with selection of DVD's, gas fire, lined curtains. 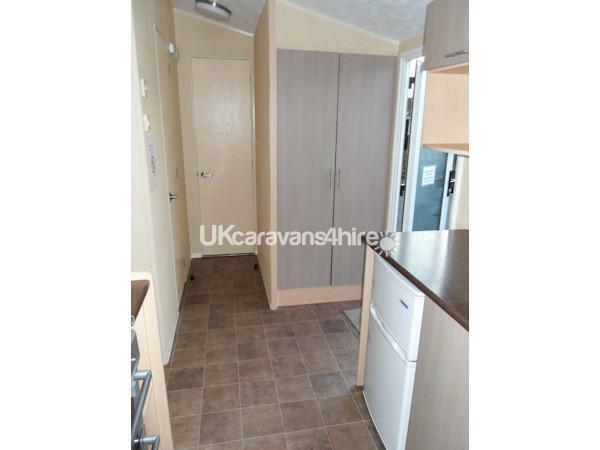 Kitchen with full size gas cooker, fridge freezer, Microwave, Kettle, Toaster, vacuum cleaner, coat storage and fully stocked with every item of kitchen equipment you could possibly need. 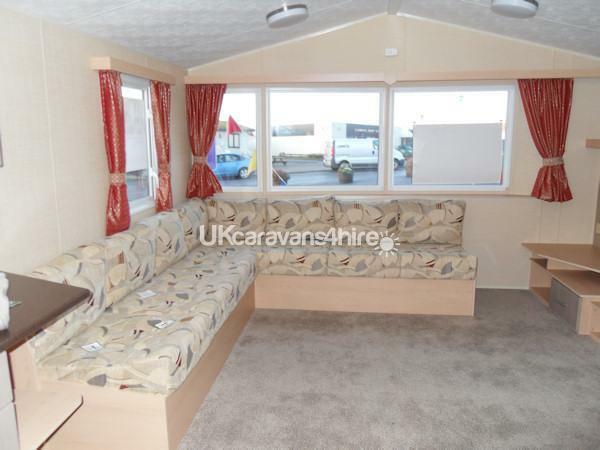 Bedrooms consists of 1 double bedroom, 2 twin bedrooms that can be pushed together & double bed under the sofa in the lounge area, all with plenty of storage. 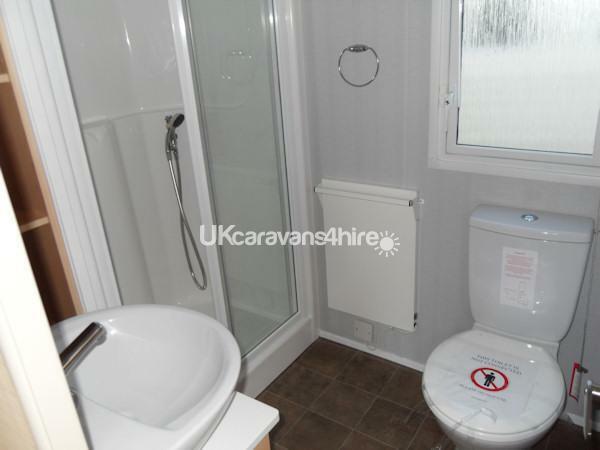 2 bathrooms with toilet, hand basin & large shower cubicle. We provide all duvets and pillows but you would need to bring your own bed linen and towels. 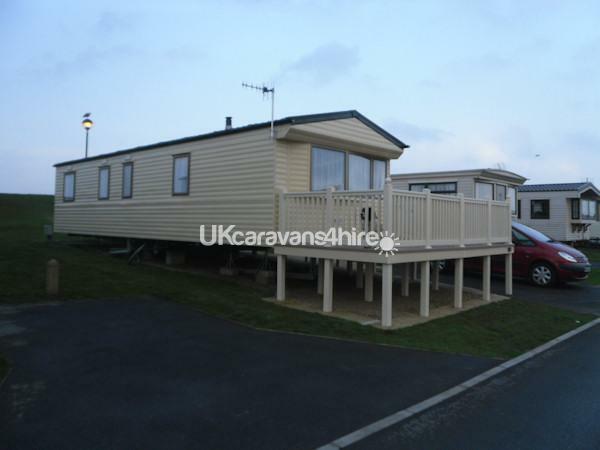 The caravan is situated on Maple Rise, just 2 minutes walk to the Entertainment (no noise from the night time entertainment can be heard) facilities, shop & pool with panoramic views of the park & surrounding countryside. 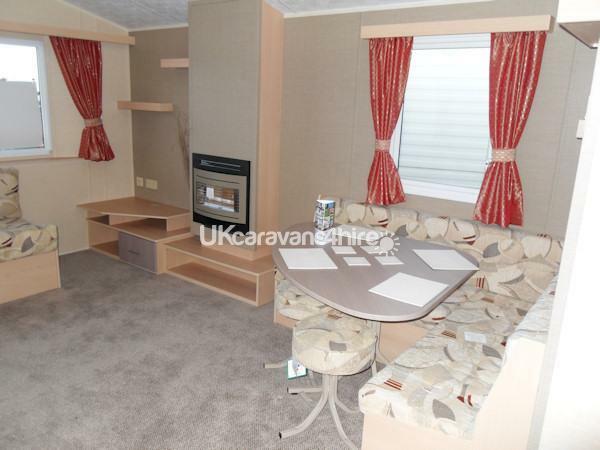 The caravan is located in an ideal location, there are no caravans behind you and the caravan is raised up so you have complete privacy. There’s always a waiting list to be moved here. 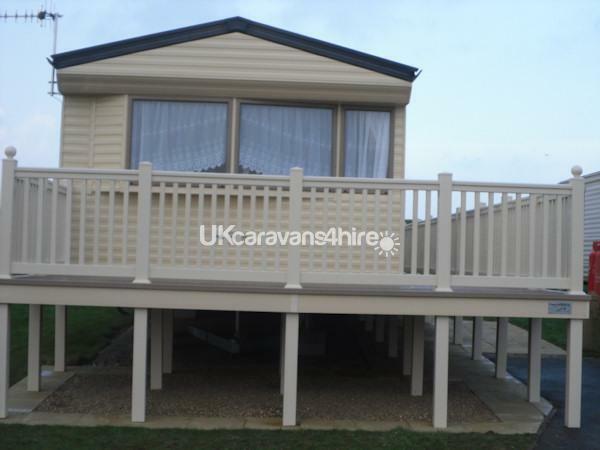 The sea views are at the back of you and you can see all the park/countryside from the decking area. Lovely to sit out on the table and chairs on a summers day or play on the large playing field to the back. Price does not include Entertainment passes, these are available from Reception if required, however gas and electric included in the price. We require a £50 deposit/bond. This will be refunded within 14 days of the end of your stay, providing the caravan is left clean, tidy and with no damage or breakages. 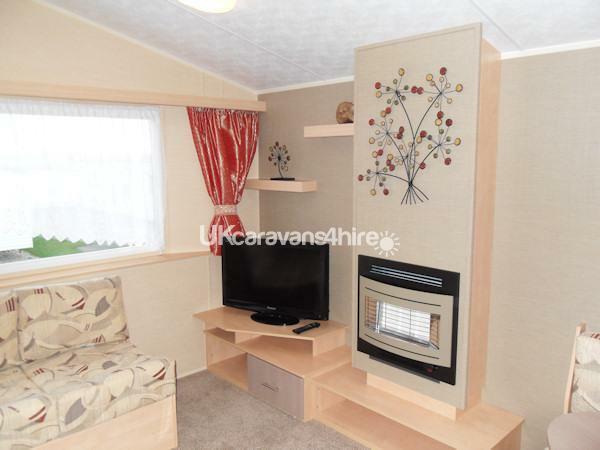 All items in this caravan are up to date with Pat & Gas testing so you know everything has been tested for safety. This park is located just 10 minutes drive from Scarborough and Bridlington, 5 minutes from Filey, Lightwater valley, with very charming and historical York and Whitby can easily be reached in less than an hour’s drive away. Save £££s on Haven prices: Mid week breaks are available by arrangement (not during school summer holidays). Time of arrival - After 3.00 PM The caravan must be vacated by 11.00AM on departure. Additional Info: Go Karts, Bike & Kart Hire, Games Room, Mini Ten-Pin Bowling, Pool Room, Heated Indoor Pool with Flumes, TumbleWave Slide, Scuba Diving, Water Walkerz, Turbo Paddlers,Family It’s a Knockout, AquaJets, Aqua Gliders, Surf Rider, Learn2Swim, Fun Inflatables, Basketball Coaching, Character Olympics, Football Coaching, Archery Coaching, Fencing Coaching, 5-a-side Football, Shoot the Hoop, Mini Trampolines, Roller Blading, Indoor SportsDrome, All-Weather Multi-Sports Court. Go Karts, Bike & Kart Hire, Games Room, Mini Ten-Pin Bowling, Pool Room, Heated Indoor Pool with Flumes, TumbleWave Slide, Scuba Diving, Water Walkerz, Turbo Paddlers,Family It’s a Knockout, AquaJets, Aqua Gliders, Surf Rider, Learn2Swim, Fun Inflatables, Basketball Coaching, Character Olympics, Football Coaching, Archery Coaching, Fencing Coaching, 5-a-side Football, Shoot the Hoop, Mini Trampolines, Roller Blading, Indoor SportsDrome, All-Weather Multi-Sports Court.